Jennifer Smith is one of the premier wedding planners in the Akumal/Riviera Maya area and is known for creating unique dream weddings to suit any couple’s taste, needs and budget. With the help of her staff, Jenn has helped design, plan and cater hundreds of events in the area, including weddings, anniversaries and parties spanning from intimate occasions for two, to grand events for up to 200+ guests. A Newport Beach, Calif. native, Jennifer married the love of her life Bartley in Corona del Mar in 2000. After their celebration, the couple then spent two weeks of bliss honeymooning on the shores of Solimon Bay and Akumal. It was their first time visiting the area, and like most first-timers, they quickly fell in love with the picturesque atmosphere and the people. 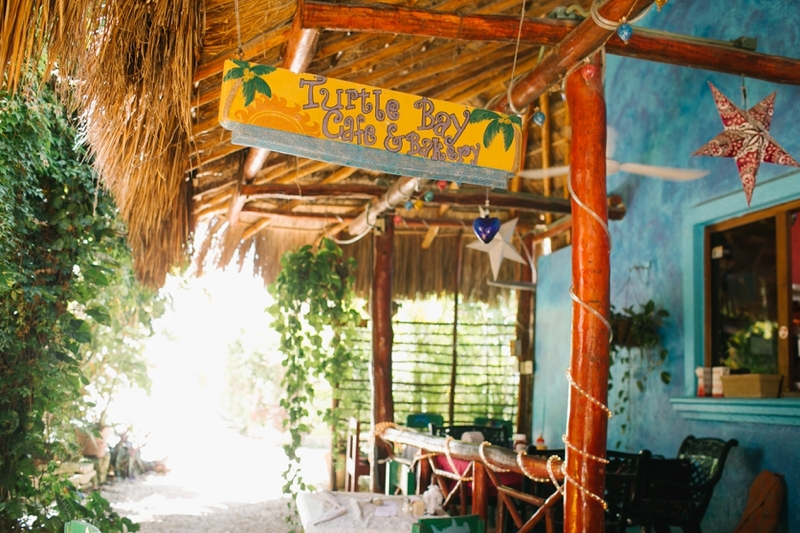 Two years later, when the pair returned to Akumal to celebrate Jenn’s birthday, they learned that Turtle Bay Bakery – one of the few eateries in town – was up for sale. Though they had never actually eaten at the bakery, Jenn and Bart took a leap of faith and decided they to buy the bakery, sell everything they owned in Seattle, Washing. (which was home at the time), and move to Mexico in 2003. For the first couple years, Jenn cooked and baked in the restaurant every day, pulling shifts in the kitchen every single night while also learning to speak Spanish while Bart handled daily shopping for supplies in the restaurant. Through the years, Turtle Bay Cafe has developed an expansive breakfast, lunch and dinner menu with a local twist. Today, Turtle Bay Café & Bakery is one of the most popular restaurants in the Riviera Maya area, drawing visitors and tourists daily but also providing a familiar and warm atmosphere for locals who enjoy dining on the eatery’s delicious offerings, baked goods, desserts, homemade ice cream and for some, it’s the perfect place to hang out, grab a drink and catch a game in TBC’s bar. In 2005, Jenn launched Turtle Bay Weddings – a division of TBC that not only offers catering, but also wedding/special event coordination and planning services. “After talking to several couples who got married in Akumal and the surrounding towns, I saw how many people were getting overcharged for their weddings and how limited their options were in the area,” she says. So Jenn agreed to help one bride and since then Turtle Bay Weddings has quickly evolved averaging 30-40 weddings events per year throughout the Riviera Maya region. Unlike other local wedding coordinators, Turtle Bay Weddings offers numerous in-house services, like full menu catering, wedding cake/desserts, cocktail and bartending service. Jenn also works closely with the best vendors in the area, including live musicians and entertainers, DJs, photographers, videographers, hair/makeup stylists, seamstress, florist, wedding officiants, etc., so that every detail of the wedding is covered. She also owns most of the event décor, tables/chairs, supplies, etc., which enables her to offer the most competitive rental prices in the area. But perhaps the most important thing that Turtle Bay Weddings offers its clients is that Jenn and her husband are there to help couples with every aspect of their wedding to ensure they have the best experience possible. Jenn prides herself on helping couples create and experience their dream weddings without the hassle of having to stress over every detail. The most important advice she can give to couples is to slow down and relax the moment they arrive in town with their friends and families. 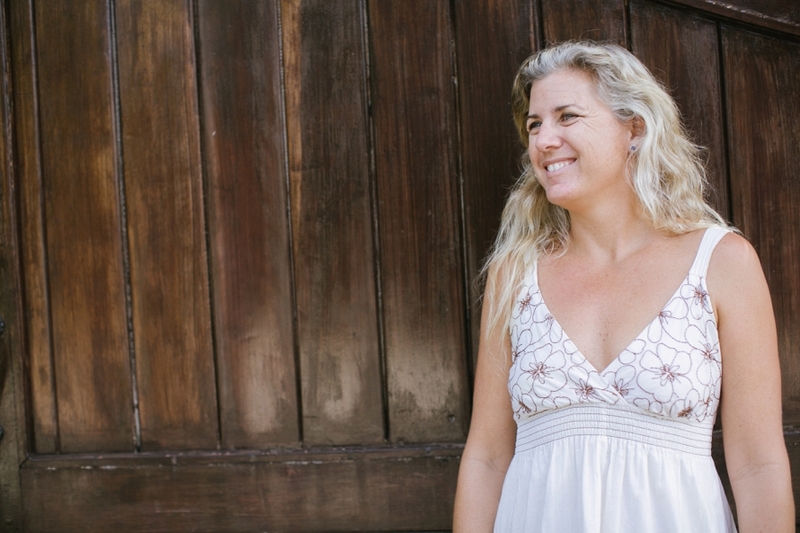 When she’s not busy at the restaurant or coordinating events or weddings, Jenn enjoys teaching yoga classes in Akumal and spending time with her beloved pets. She is an avid animal lover and has dedicated her life helping rescue animal by finding them new families and homes.